Welcome to our group and our new Caloundra Family History Research Inc. website. Along with our actual rooms we now have “virtual rooms“ where current, new & potential members and visitors can have access to a variety of web pages, at any time of day, containing up to date information about our people, our mission, our education sessions, our activities and much more. There are many benefits for all our members in having a website that reflects 25 years of the group’s history. Past and current members who have a passion for family tree and genealogical research have contributed their knowledge and expertise to an ongoing legacy from which current and future members will benefit. As they say when you begin your Family History Journey, it starts off as an interest, then a hobby … then it becomes an obsession……. 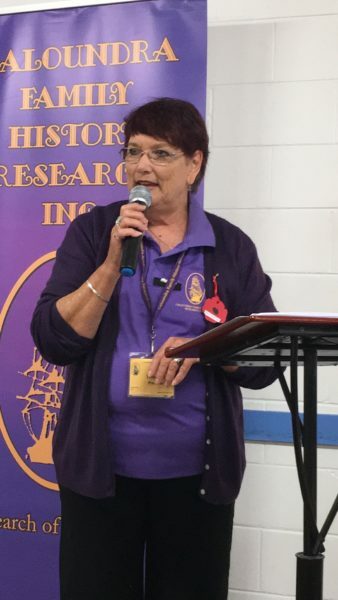 Below you can follow our Facebook feed for Caloundra Family History and the Waves in Time 2019 Family & Local History Conferences directly from our new website. Ideal for those not a Facebook member. Or just LIKE us directly at the previous links to get us in your Facebook feed.